Managers love the LEADx Online Course Library that enables them to learn when, where and how they want. 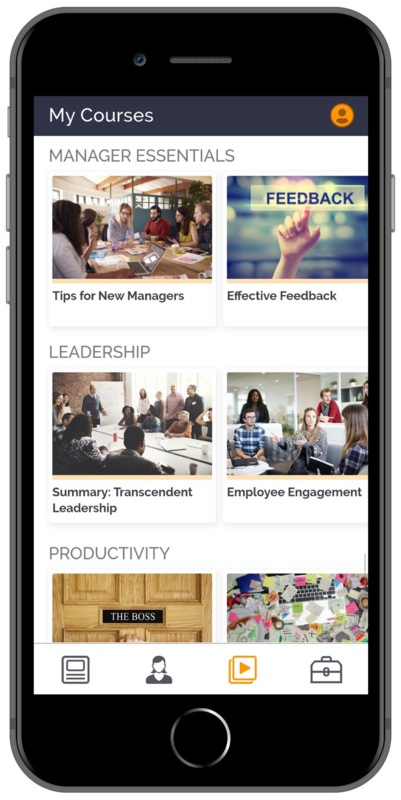 Content includes microlearning lessons, expert webinars, podcast interviews, print-ready job aids, and even business book summaries. The management training curriculum covers new manager training topics like giving feedback, delegating effectively, one-on-one meetings, coaching and even tips for first-time managers. Second-line leaders can choose more advanced topics including employee engagement, authentic leadership, conflict management and more. New webinars, podcasts, and book summaries are added each month. Binge-worthy content for busy managers. Now featuring leadership courses online for effective leadership development and management training.